From Monday 29 October to Saturday 3 November, we’re throwing a celebration you’ll be shucking crazy to miss. The Wild Rover’s staples of beer, whiskey, sausage rolls and freshly shucked oysters have been free-flowing in the bar since opening the big green door in 2013. Our favourite ocean morsels have played second fiddle to the now famous house-made lamb sausage roll. 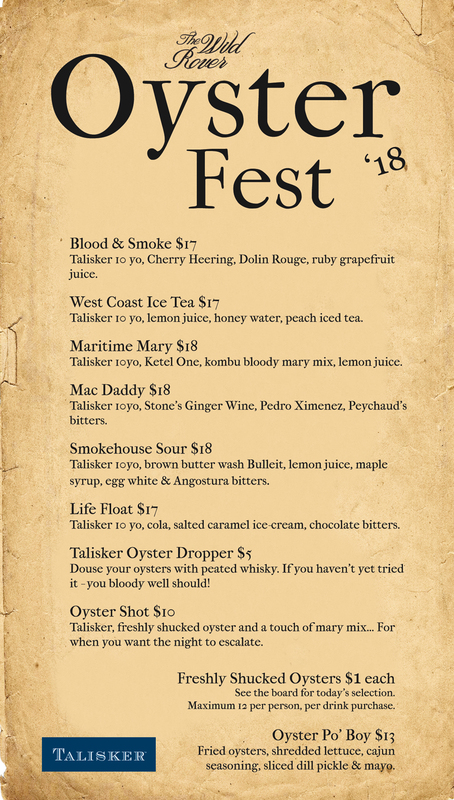 For one week only, from October 29, those little-shelled beauties are taking center stage for the Wild Rover Oyster Fest. We’re dishing up $1 OYSTERS all week, along with a specially created food & drink offering to indulge in and some tasty events to get you in the spirit. In the spirit of The Wild Rover being a whiskey bar, expert Simon McGoram is hosting a Whisky & Oyster masterclass on Monday 29 October. 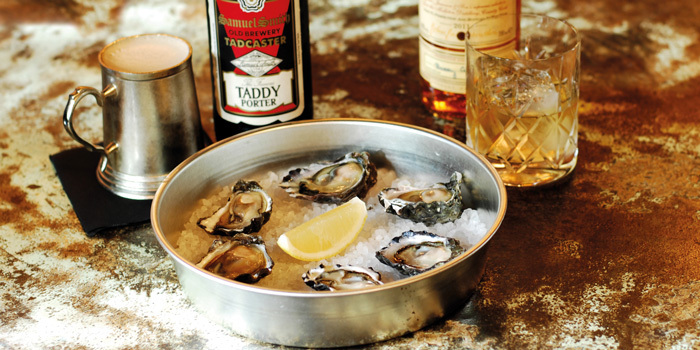 Sit back and throw down Sydney Rock Oysters while tasting five expressions from the famed Scottish distillery, Talisker. 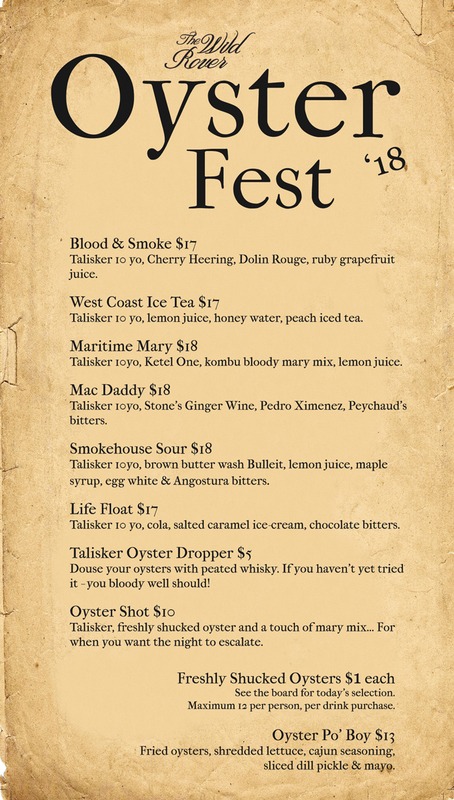 A food and Talisker cocktail menu has been specially crafted for the week and features a range of oysters, oyster po’ boys and a range of drinks that suit perfectly to slurping down oysters. The shells of each oyster consumed will be donated to OceanWatch Australia to aid in the regeneration of Sydney Harbour marine life. We have the right to refuse service of alcohol or oysters to anyone under the influence from an abundance of either. Be patient – it takes times to shuck those suckers!